Below are all the articles which were published in June 2018. 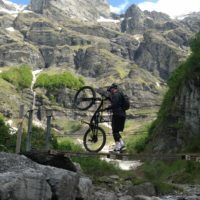 The Alpine summer mountain biking season has begun! Summer has arrived in the Alps and the biking season is well underway. Here's what lies ahead for Ride the Alps this summer.